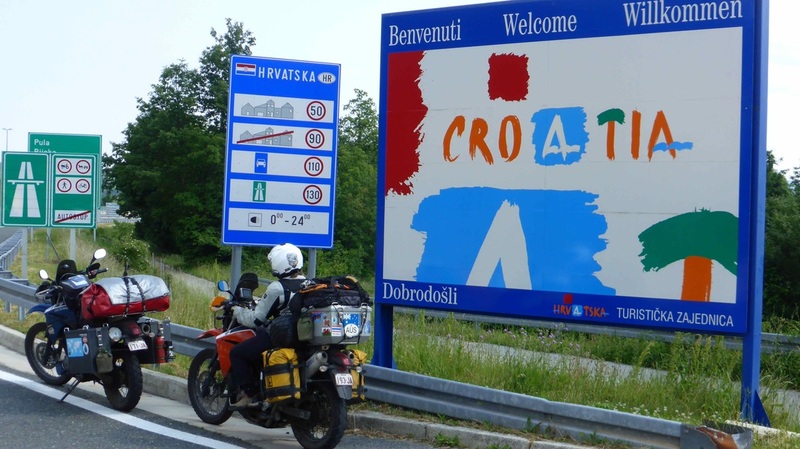 Crossing the border was a bit of a change, we needed our passports and green card for a change, we had got used to just riding past a sign! 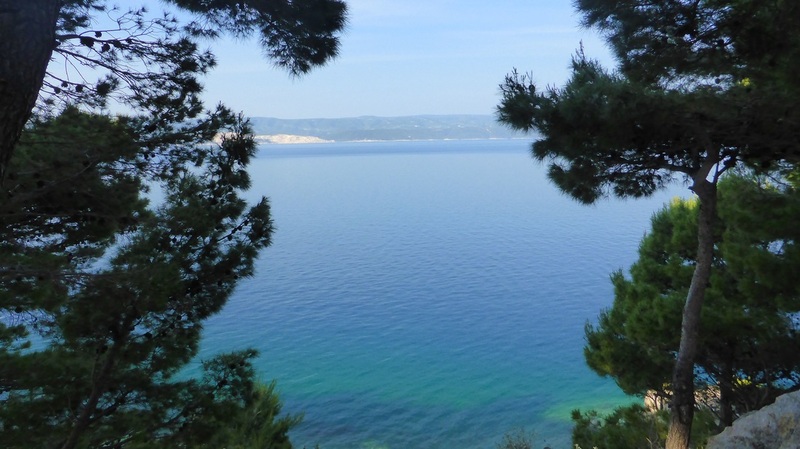 The day was warming up, so some layers came off, and we followed fairly narrow but good roads down through the hills to Porec, where we scored an apartment for a couple of nights. There was a World Series volleyball contest going on at the time, so we went and watched the Aussie girls play, they had two games on that day, and they won both of them. we booked into an auto camp right on the waters edge. Great views, and crystal clear water. The campsite was cheap enough, 17 euros including power, but the food was expensive. I still struggle with putting the tent up on a site that is all rocks. It is fine for camper vans, but some of the sites are dedicated to tents, you can't drive a camper to them, so why not grass, or maybe even sand? The next day was a lazy day catching up on the blog, and swimming. Looking down over Dubrovnik, from the road heading south towards Montenegro. 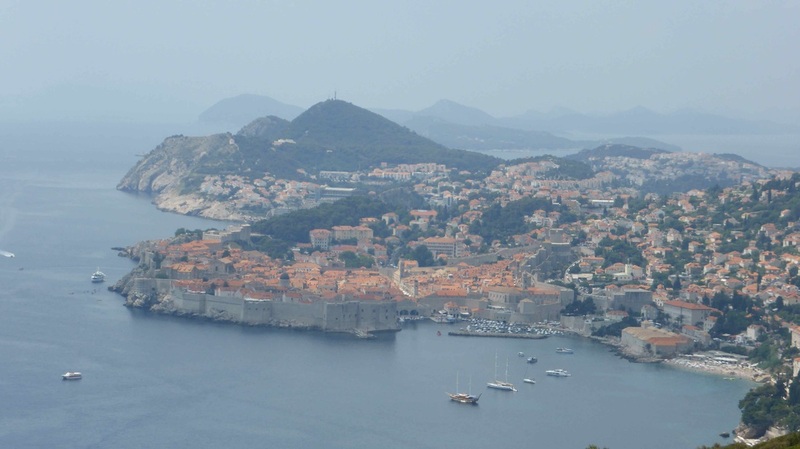 We headed into Bosnia, then back into Croatia to have a look at Dubrovnik, before continuing south. Well worth coming back for, very touristy, but a great little harbour, and worth walking around the old town inside the walls. They were shooting a movie there, and Lyn walked right through the middle of the set, checking out the actress who was all made up, wondering why anyone would walk around like that, before she realised what was going on. I'm tipping that bit was edited out!